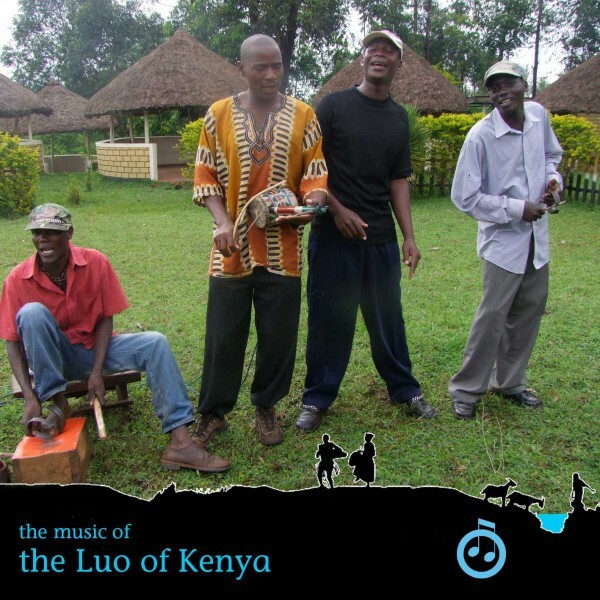 This album features a selection of the music recorded as part of the Singing Wells trip to record the Music of the Luo in Western Kenya. The album begins in Rang’ala village – with The Sega Sega band led by Osumba Rateng, and then a Dodo group led by Ogoya Nengo. We next move to Aluny Village – with performances from The Joginda Boys, Otieno Aloka and the late Okumu K’Orengo and his Nyatiti Group. The Kochia Traditional dancers gave a very visual performance, and one of their tracks, recorded on the shores of Lake Victoria at the Homa Bay Hotel is also included. The final day of recording on the trip saw us head to Rongo – and the settings of Dinky’s Resort Club. The Otacho Young stars, whose image graces the album cover, are featured, as are the Kanindi Jazz Band and Josey Kokeo, performing a special collaboration. As an added extra, also on the album are ‘influences tracks’, recorded in the field. Ketebul Music artist Winyo collaborated during the recording sessions, and included is his work with Ogoya Nengo, Josey Kokeo (as noted above) and The Kochia Traditional Dancers. In March 2012, we invited the Otacho Young Stars to Nairobi to record in the Ketebul Music studios. The track ‘Mr Manager’ – an ode to the manager of a plantation, was first heard on the session at Dinky’s Resort Club, but the version included is that from the Nairobi Ketebul sessions.